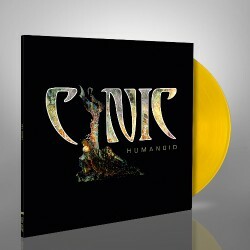 The legendary CYNIC emerged from a four-year slumber with a surprise new track "Humanoid". The punchiest track from the band in a decade, "Humanoid" rides a driving rhythm laid down by longtime bassist Sean Malone and new drummer Matt Lynch, and features an impassioned vocal delivery from founder/frontman Paul Masvidal. 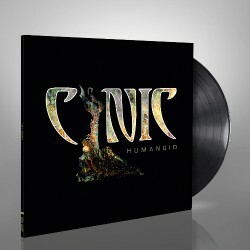 "Humanoid" is available now in tangible form for the first time on a limited 10" lp backed with remixed and remastered version of the CYNIC classic "Veil of Maya". "Humanoid" is strictly limited to one pressing only, so act fast!